Few mammalian orders carry their infants clinging to the mother's fur. 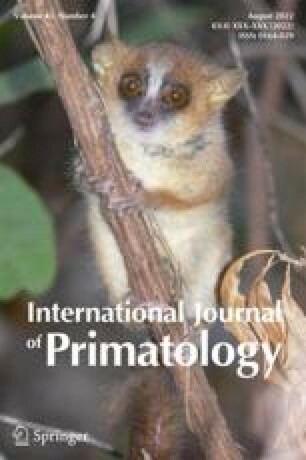 I investigated the evolution of carrying behavior in primates and the life-history and ecological correlates of infant care patterns. Primates are ideal for the study as there is variation in infant care patterns. Primate infants are left hidden in nests or parked in trees, both of which strategies I term parking, and are carried orally or ride clinging to the mother's fur: riding. Infant carrying has evolved several times in the Primates and, once evolved, it has been conserved. Significant energetic costs of riding are indicated as riding species maintain smaller home ranges than those of non-riders of the same body size. With body size and phylogenetic influences taken into account, riders appear to incur a reproductive cost by weaning and breeding later than parkers. Although riders do not have lower birth rates than those of parkers, their later age at first reproduction leads to their having a lower reproductive rate, measured by the intrinsic rate of population increase. Precociality of infants is not correlated with either riding or nesting behavior. Although non-nesting species have larger litter sizes, their infants are not significantly smaller, nor are their neonatal brains relatively smaller. Although riding may have some energetic and reproductive costs, its repeated evolution in the Primates suggests that it also has some benefits, the most likely being a reduced mortality risk for carried infants.